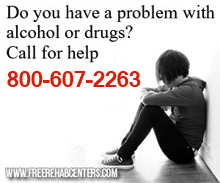 Athens, OH Free Treatment Centers, Affordable Rehab Centers. Our purpose is to provide social work and drug and alcohol services to the general community in the form of assessments, driving intervention education, domestic violence courses, and anger management classes. The Alcohol, Drug Addiction and Mental Health Services Board of Athens, Hocking and Vinton Counties (317 Board) creates a Network of Care for people who need prevention and treatment of mental illness and/ or alcohol and drug addiction. Case Management / Community Support; Assessment / Diagnosis; Individual, Family, Group, Couples, CD and MH counseling. CD education / Relapse Prevention; SAMI Group, Women's Group; Partial Hospitalization / IOP; Detox Screening / Drug Testing. Mary Lou Rose, Program Coordinator works with local health agencies educating about respiratory deseases. Educates public and healthcare personnel.Educates public and healthcare personnel.